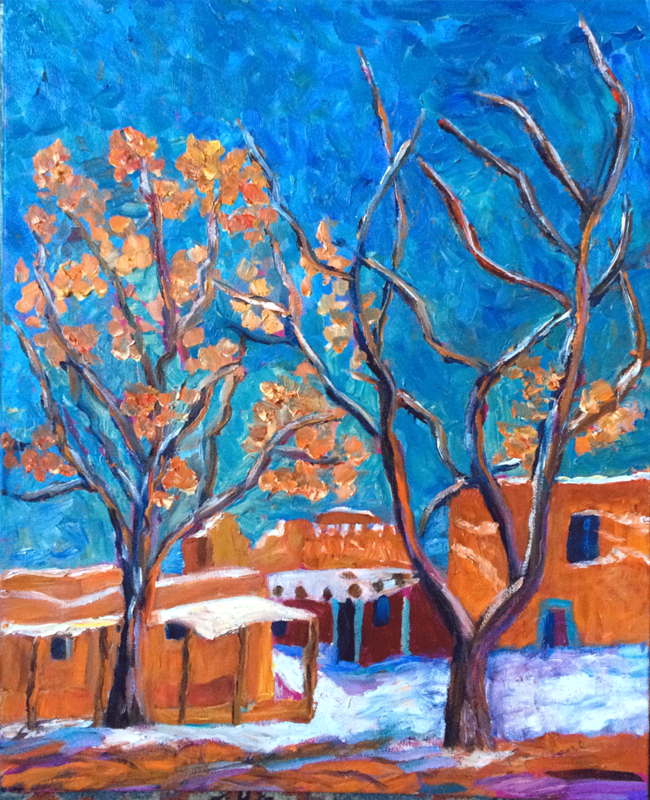 Carolene's love of Folk Art, color and New Mexico are reflected in her paintings. 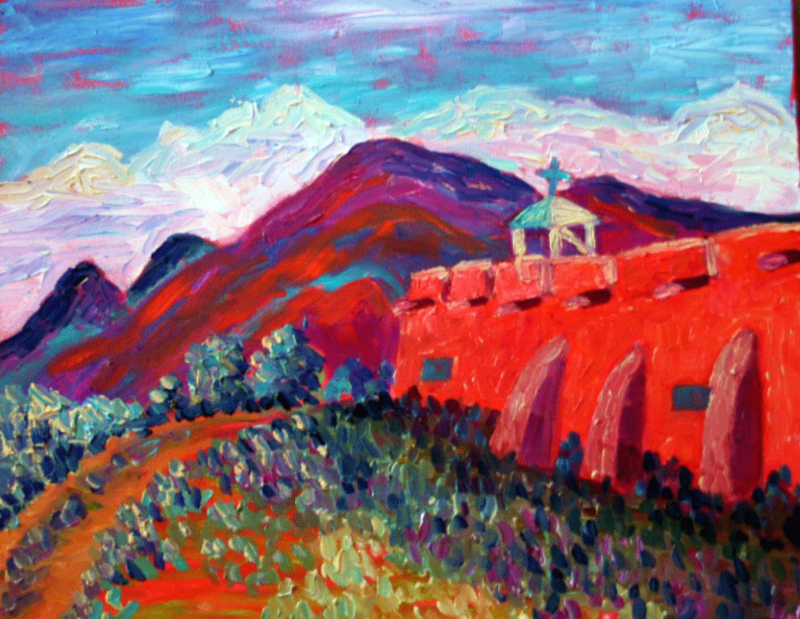 I love to add native women, the sun, and the beautiful adobes and churches of New Mexico to my paintings. Enjoy my art. 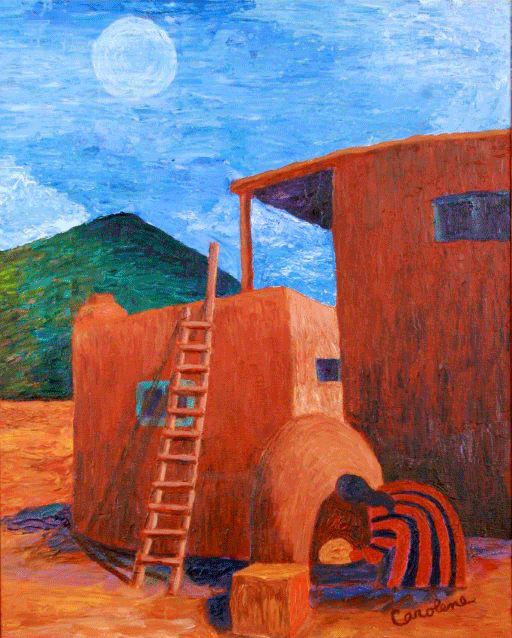 Carolene Herbel is a Taos, New Mexico artist / painter who works with acrylics and oils in her paintings of the southwest. 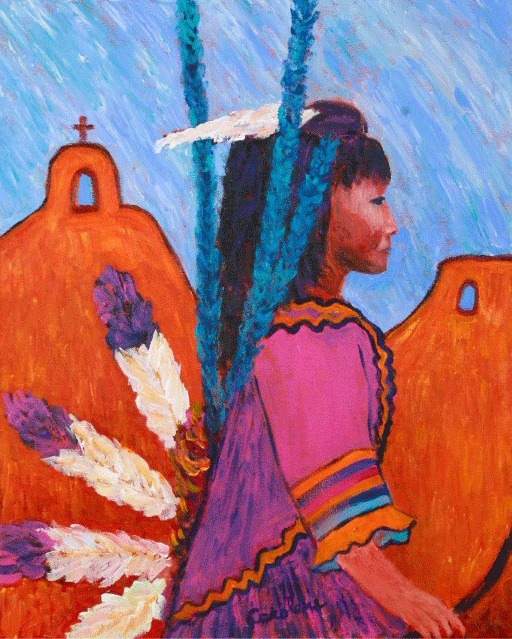 Inspired by the northern New Mexico colors and culture, she paints the local scenery, landscapes, architecture, lifestyles, plants and animals around her. 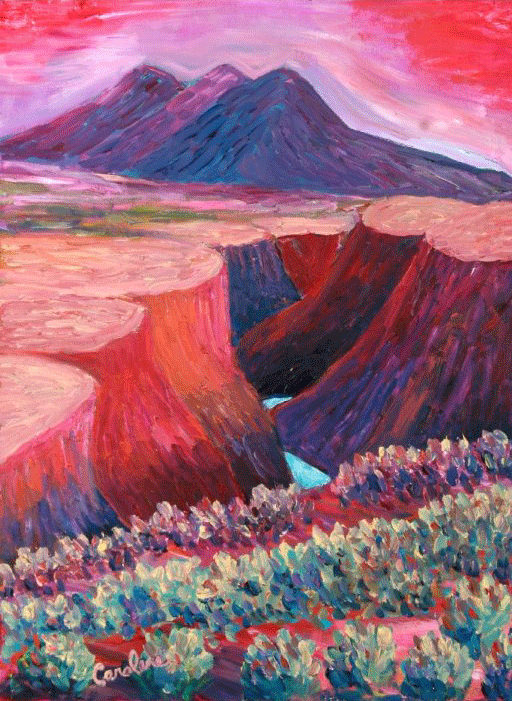 Her use of vibrant colors and strokes reflect the changing light and textures found across the high desert of northern New Mexico. 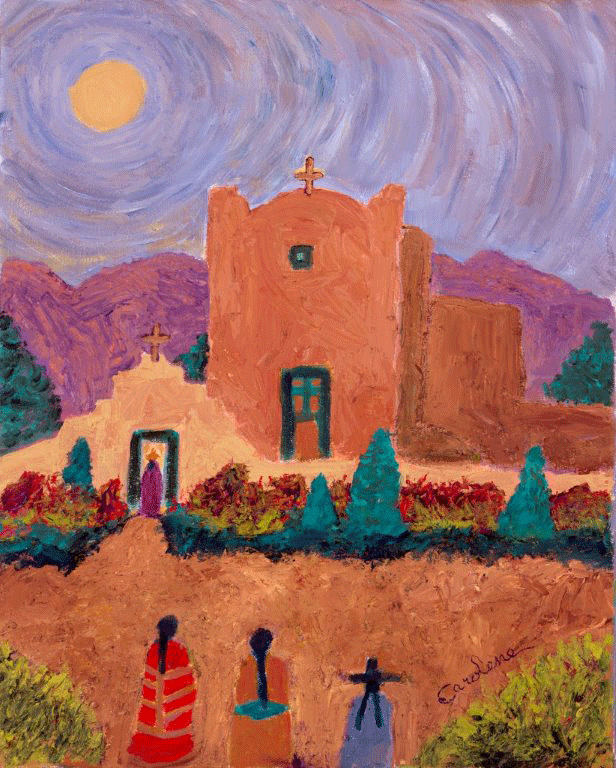 She particularly likes to paint the churches and adobes of the area, oftentimes adding women figures in front of the doorways, portraying them as iconic figures. Otherwise she paints as her whims take her, with a light touch and genuine inspiration from the community and surrounding area she lives in. 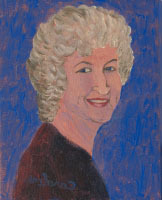 For more information about Carolene's past, her painting studies and general philosophy, you can read her biography. 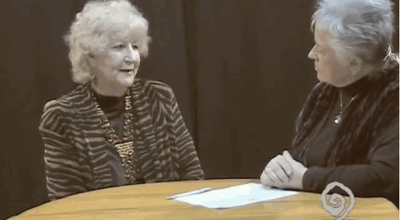 You can also watch her being interviewed by Taos Artists Organization on her video page to gain even more of an introduction to her and her work. 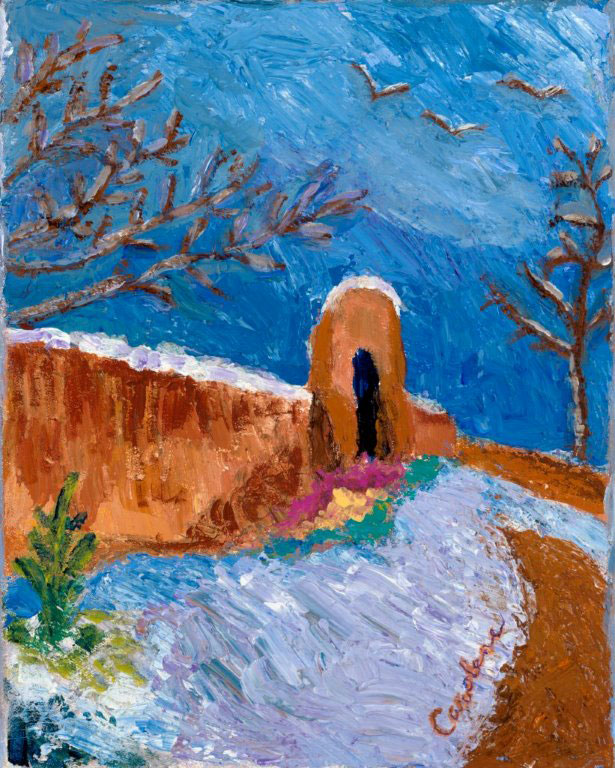 If you are interested in purchasing Carolene's art, this site offers purchase options for the original artwork, small paper prints and archival greeting cards. 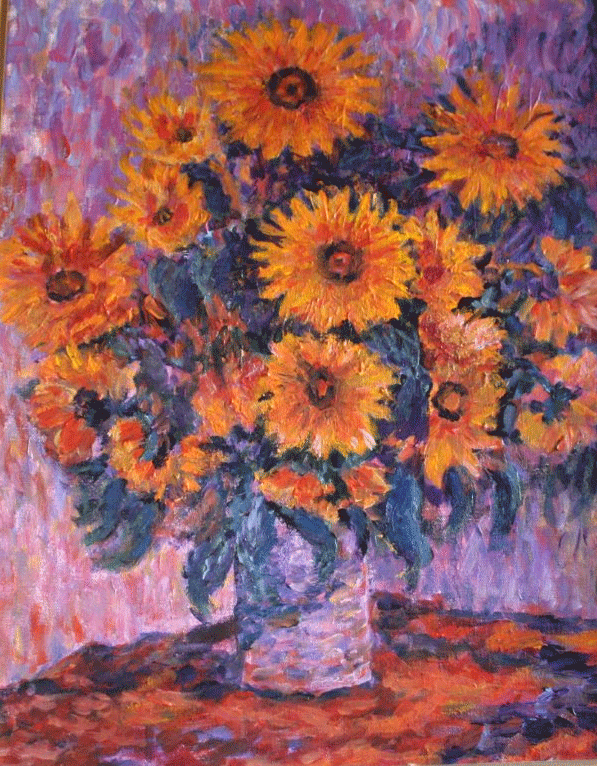 To purchase larger prints in both paper and / or canvas, please go to Fine Art America where her work is also displayed. 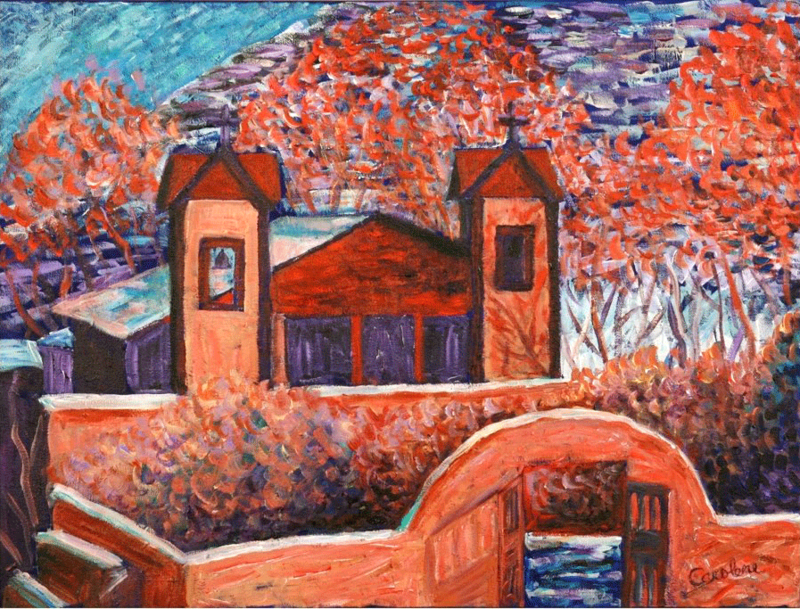 Below are a few selected images of some of her paintings. To view her entire gallery, please browse the gallery pages. Click on any image to see a larger purchase page with additional relevant information about the individual painting. Beyond that, if you have any questions or otherwise, Carolene can be reached directly either at 575-758-2190 or via email at carolene@taosnet.com. Thank you for visiting her site!